They are #SlayGoals, but what does it take? ENVY VIBES: We scroll through their social media feeds and everyday we are served with slay. We know that these ladies do put effort in looking good and now some share with Hassan Ssentongo what it costs to look good. Browsing through socialite Zari Hassan’s Instagram feed is like flipping through pages of a fashion magazine. In one of her latest posts, renowned South African designer Gert-Johan Coetzee is seen organising her floor-grazing royal blue gown in what is evidently a photoshoot. In another close-up shot, the mother of five poses in a sequined red t-shirt emblazoned with a McDonald’s logo, a look from Coetzee’s range with the brand. Her unblemished skin, picture perfect eyebrows, thick sleek hair and metal studded manicure take centre stage. Often, celebrities such as Zari get these gorgeous outfits, beauty products and treatments for free, or you can quench your envy by saying it is their job to look good and keep in shape. But even then, when you continue flipping through Zari’s feed, you will stumble upon photos of her clad in a midriff baring dress showing off a relatively flat tummy, something you cannot get for free. While featuring on NTV’s Mwasuze Mutya, Zari confessed to being in and out of the gym to keep in shape because her body ‘is bad and will blow out at once’ if she does not watch it. There are celebs like Zari whose Instagram feed just gives us #slaygoals vibes and if these people do not make you jealous, you are lucky. But if they do, the question is how do they do it? Desire Luzinda does most of her shopping abroad when she travels for performances and she spends a ‘reasonable amount of money’ on her wardrobe. “Shopping by myself gives me a peace of mind.” The singer says she is not a fan of the salon and will only visit when she must. She has a hairstylist on speed dial who fixes her hair at home… well, because she is not just any woman, she is Desire Luzinda! Every two months she buys new hair pieces, depending on her mood and desire. She works out every day: “I am open to all workouts as long as my instructor gives the green light. I do a lot of jogging, push ups and cycling.” Her tricks: “I avoid clothes that are too tight and keep clothes and accessories separately. Lydia Jazmine considers her body naturally gorgeous, but she works out two days a week, with focus on cardio, squats and pressure on her tummy. She jogs too. Thanks to the power of wigs, the singer is able to change her appearance almost every week. Her collaboration with hair brand ‘Laced by Mercy’ keeps her hair rack always full. She will switch from long hair to a pixie cut in a minute. We can swear that not many have seen her natural hair. For her skin, she regularly has a steam bath. She avoids using chemicals and swears by two products; Vaseline, and Nivovian, for which she is brand ambassador. When she has to wear makeup, which is usually for performances, appearances and shoots, she works with either Peter Russell or Nahya Shero, who charge 80k per session. For wardrobe, she works with stylists such as Fashion Loft, Sashz Closet and Tina Brad, among others and this costs her 150k to 200k per look. When she feels like shopping for clothing, she opts for relatively affordable fashion outlets. Every after a week or two she does her nails for 30k per session. Sheilah Gashumba loves her fashion. In fact, the TV star has two separate rooms for her wardrobe; a shoe room and clothes room. She buys 95 per cent of the clothes she owns. Her favourite shop is Sashzcloset where she usually gets her ‘insta perfect’ pieces. For red carpet events, she works with local designers. “I always think about an outfit for a week in my head before I wear and post it on the gram,” she says. Gashumba owns Gash Glam, a hair extension line, which means that she has access to a collection of extensions. However, this year she got bored and decided to do a side shave. “I had worn every colour and style. I am loving my new look and I can throw on a wig anytime,” she explains. With her new cut, all treatment and maintenance is done by celebrity hairstylist Chris Ddamulira of Trendz Salon, which costs 100k each session. She only wears makeup when headed for events or shooting for The Style Project because, “I have lovely skin, I do not need makeup!” Her go-to makeup artists are Nahya Shero, Faith and Aggie, who she says have mastered her face. These we know charge 80k to 100k per session. Her secret for ‘lovely skin’ is Johnson baby lotion shea and cocoa butter and washing her face with water only. She also swears by all Lancôme makeup products when she needs a little touch up. She says she is not big on nails but once in a while she gets nail treatment at Lacquer Nail Bar, which costs her $100 (360K) and these last four months. Otherwise, she mostly keeps her nails short and simple. She credits her lithe body to an intense workout routine she does at home on a treadmill and once in a while she will drop by the gym to tone her waistline. After having her baby in 2016, Sylvia Namutebi was back in shape in record time. Her waist had gone from the beauty queen perfect 26 inches to 42 but she managed to get it back in less than a year. The mother of one credits it all to a strict workout schedule she followed during and after pregnancy. She visits the gym three times a week, focusing on muscle tightening and cardio and she spends 40K per session. She also does yoga four times a month because it is great for the mind and soul, dropping 50K per class. When she is too busy to go to the gym, she does a 30-minute workout at home. We all adore her always thick and lustrous mane, but the ex-beauty is worried she spends too much on hair and is planning to cut it off. She says her weaves cost her $100 (360K) per bundle and she needs about four for one look. Namutebi only wears makeup when heading out for events and will work with Imani makeup studio or have her personal makeup artist Cyril do it for her at home. On a normal day she does a little moisturising and lipstick and she is good to go. For her skin, she swears by Vitamin C supplements. Once a month she gets a facial at Soothing Spa and once in a while she will splurge on Avane’s hydra facial treatment which costs $100 (360K). Her wardrobe? She buys all her clothes mostly online. Her beauty secret: She takes good care of herself, watches what she eats and drinks lots of water. Unlike some beauty queens who are now a complete shadow of their former selves, Natasha has maintained her youthful looks and toned body even after she shelved her job as a dancer. Even when motherhood swayed her way, she did not relent. But it has not been easy, she confesses. She has over the years stuck to a four times a week intense workout at a gym where she signed up for a year, she gets three mild workout sessions at home on days she has no gym appointment. “I focus a lot on the lower part of my body as it gains weight pretty fast. I also work on my abs and back,” she shares. Sinayobye credits her enviable fashion sense to her taste. “I only work with stylists when I have a photoshoot. Otherwise, I choose clothes myself and when I am shopping, I choose something that will flatter my body,” she shares. Her beauty regimen on the other hand is not as intense. She swears by all Neutrogena products for her face and vaseline for the body. For her signature short hairdo, she uses natural products such as aloe vera, coconut and other essential oils. In a month, she spends 250k on haircuts, treatments and oils. She chooses to wear makeup only when she is headed to an event or during photo shoots. “I do not know how to do my own makeup, but I can apply mascara, highlighter and lipstick. So I always stick to that.” She gets a man-pedi two times a month with a rest in between, which sets her back 130k per session. Her beauty secrets; watching her diet, sticking to a routine..
Do you remember that tiered short sleeved cream gown she wore at the 2016 ASFAs? It set her back a staggering $1,800 (about Shs6.4m) and it was picked off the rack from a BCBG store when she was shopping in L.A. Away from occasional splurges, Leila Kayondo is fairly low-maintenance. She will only buy something because it tickles her fancy or save for it in a situation where she cannot afford. Style is something close to her heart. “It does not matter if a top is 10k or 300k, if you style it well, you will look polished,” she says. Leila owns a store, LKay Collection, which means she never spends much on stylists. “I am too critical about fashion to let someone choose clothes for me,” she shares. When it comes to hair, Kayondo is not sure if it is high maintenance or simply never having a bad hair day. Her weaves go for about Shs1.2m because she only wears quality hair. She does her makeup every weekend, and any other day she has an appearance or a day out, parting with 100k per session. 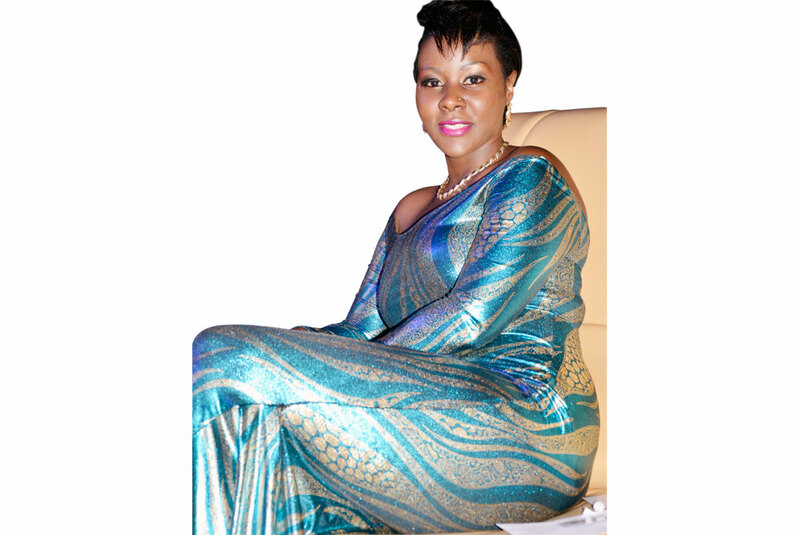 The singer considers herself the most low-maintenance woman in Uganda. Her short hairdo which is usually tinted costs her about 150k per month to maintain, and she will only change the tint colour or style when bored. The Muliro singer’s skin is always covered in layers of makeup because she takes her appearance seriously. She has a brand relationship with Nahya Shero who is responsible for her signature glow. But that is only for public appearances and performances. She never wears makeup to studio and at home. She treats her skin to sauna, steam bath and a facial once or twice a month, costing 80k to 120k per session. Her wardrobe and styling is done by Posh by KC with whom she has a brand relationship. Away from work, she does all her shopping at affordable outlets. Since she knows a thing and two about style, it is easy to choose clothes. Her most expensive buy was the gold embellished black dress she wore at the 2017 ASFAs which set her back 700k. Nina Roz takes her appearance so seriously that she would never ‘recycle’ an outfit to a public event or post it on social media. She credits her lithe body to an intense workout routine which includes squats, sit-ups and boxing. She does this a couple of days a week at the gym. She also eats well, inclining to mostly local food. Her beauty secret is baby oil which she applies on her body every day before bed.